On April 19, 2018, university students in Nicaragua’s capital, Managua, exploded onto the streets. Their initial demand? A more effective government response to wildfires burning out of control in the country’s most precious repository of biodiversity. Soon, a social wildfire took hold in Managua and then spread across the country. Thousands of Nicaraguans added a second demand to the first. For Pres. Daniel Ortega to revoke his recent changes to the country’s social security law, which had simultaneously raised social security taxes — upsetting private enterprise — and cut benefits to seniors, angering many ordinary people. In the ensuing clashes, close to 200 Nicaraguans have died, hundreds have been arrested and thousands have been injured, almost all at the hands of anti-riot police, unidentified snipers, or gangs of pro-government thugs on motorcycles. Today, this movement of auto-convocados — self-conveners — articulates two key demands. Justice and democracy. Justice for those who have died at the government’s hand and a return to democratic governance for Nicaragua. Why should we care? In a world where the U.S. president proclaims his desire to see his people “sit up and pay attention” to him the way North Koreans do for Kim Jung-Un; where his attorney general tore children from their parents’ arms; where the United States plans to initiate the militarization of space despite our endorsement of the 1967 Outer Space Treaty, which outlaws exactly that — in such a world, why should people care what happens in an impoverished Central American nation thousands of miles from the centers of power? Because there was a time when Nicaragua’s imaginative, idiosyncratic revolution offered the world an example of how a people might shuck off the bonds of U.S. dominance and try to build a democratic country devoted to human well-being. I know, because I saw a little of that example during the six months I spent in Nicaragua’s war zones in 1984, working with an organization called Witness for Peace. My job there was to report on the U.S.-backed counterrevolutionary military campaign to overthrow the Sandinista government, which had replaced a vicious dictator in 1984. The Contras employed an intentional terrorist strategy of torture, kidnapping, and murder, targeting civilians in their homes and fields and workers in rural schools and clinics. In the years following the dictator’s ouster, Nicaragua became a symbol of hope for people on the left globally. Somoza had treated Nicaragua like his own private hacienda, leasing out its hillsides for clear-cutting to U.S. and Canadian lumber companies and, along with an oligarchic class of landowners and businessmen, squeezing every dollar out of the people he ruled. He maintained his power thanks to a regime of intimidation, torture, and assassination. His National Guard functioned like a private army and would eventually form the nucleus of the Contras after many of its members fled to neighboring Honduras when the Sandinistas came to power. In 1979, however, after a year-long insurrection fought in the mountainous areas of the country by a guerrilla force armed with AK-47s and in the cities by ordinary citizens wielding homemade bombs thrown from behind barricades, the Somoza regime collapsed. By the time he fled, after a brutal final round of aerial bombardment, no sector of the country backed him. Erstwhile allies such as the big landowners, private industry and the Catholic Church, along with the press of all stripes, had all turned on him. So had the majority of Nicaraguans, the rural campesinos, and the country’s tiny urban working class. In the end, even his patrons in Washington abandoned Somoza as a hopeless cause. A group called the Frente Sandinista — the Sandinista National Liberation Front, or FSLN — stepped into the vacuum he left. Founded in 1961, it took its name from Augusto César Sandino, a guerrilla leader who had fought against a U.S. occupation of Nicaragua decades earlier. In 1978, despite internal disagreements, the group united around four basic principles of governance. Political pluralism; the formation of a mixed economy, including private ownership, state-owned enterprises, and collectives; popular mobilization through a variety of mass organizations; and a foreign policy of nonalignment. In July 1979, when Somoza resigned and fled the country, the FSLN assumed power with long-established plans to improve the lives of the rural and urban poor. The party established health clinics, promoted free public education, and offered a “canasta básica” basic food basket of affordable staple foods, quickly reducing the endemic malnutrition in the country. Through a national vaccination campaign, it eliminated polio in 1981. It also brought in laws that protected poor farmers from losing their land to banks and instituted agrarian reform, transferring land titles to thousands of previously landless campesinos. In 1980, 90,000 people, two-thirds of them middle-class high school students from the cities, took part in a national literacy campaign. In the process, those young students spent five months living with campesino families, learning about the hardships and joys of subsistence farming. In return for such hospitality, those students taught their host families to read. Today, my partner sits on the board of a Nicaraguan development NGO, several of whose organizers began their lives of community engagement as teenage participants in that literacy campaign. Of course, the Sandinista government was not perfect. Some of its worst policies reflected the country’s endemic racism against indigenous groups and English-speaking Nicaraguans of African descent. 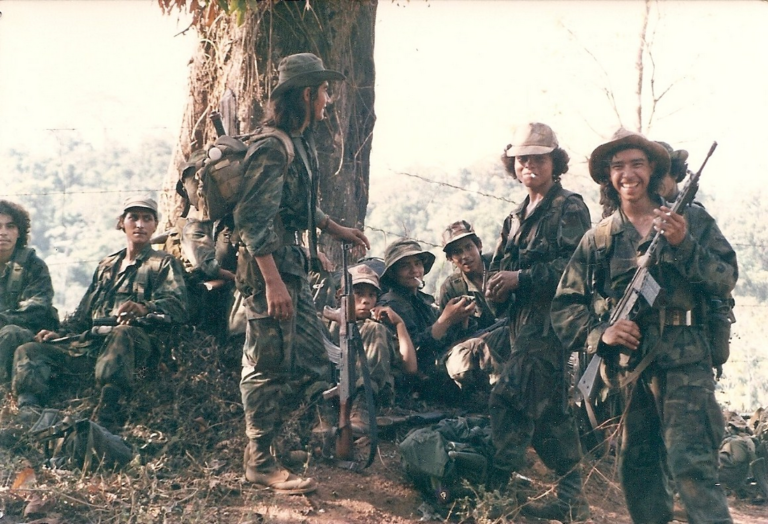 Existing conflict between the Sandinistas and Miskito Indians was further exacerbated by the government’s imposition of a military draft in response to the Contra war. Many Miskitos were members of the pacifist Moravian church, but the Sandinistas interpreted their resistance to the draft as complicity with the enemy, and so opened the way for successful CIA infiltration of the group. The Sandinistas also created and consolidated government structures, including a presidency and national assembly. When the party swept the 1984 elections with 67 percent of the vote, and Daniel Ortega became president, no one doubted that the result represented the will of the overwhelming majority of Nicaraguans. In 1986, the National Constitutional Assembly approved a new constitution, which granted abundant rights to Nicaraguans, including women and LGBT people. One of its articles even called for absolute equality between men and women and the full sharing of housework and childcare. While Nicaragua was having its revolution, back in the United States we were enduring our own: the Reagan Revolution. Former California governor Ronald Reagan’s 1980 presidential victory marked the beginning of the Republican Party’s successful attack on the New Deal structures still embedded in American life. The Reagan administration undermined unions, cut taxes on the wealthy, deregulated vital industries from banking to health care with disastrous results still felt today, attacked social programs such as Aid to Families with Dependent Children and Medicaid, and turned perfectly respectable words such as “welfare” and “entitlement” into code for African American moral turpitude. AIDS was ravaging gay communities, but the president refused to even say the word in public until the first year of his second term. Meanwhile, the Reagan administration escalated Richard Nixon’s “war on drugs” into a full-scale assault on poor communities. In 1986, the president signed a drug law requiring guaranteed — and long — prison sentences even for minor, non-violent drug offenses. 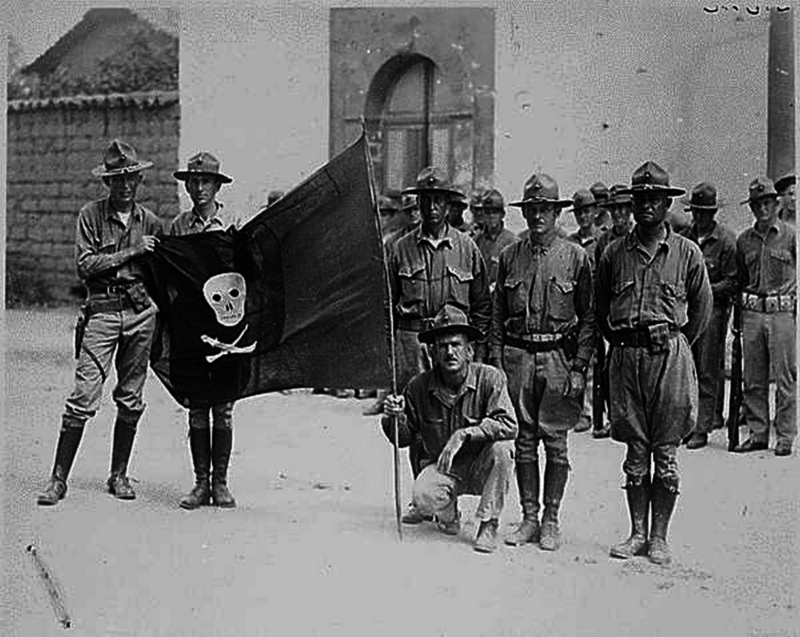 And Nicaragua was indeed free, although also under attack. The United States had always been its biggest trading partner. In 1985, however, Reagan embargoed all trade with the country and cut off air and sea transport to and from the United States. Other nations, including Soviet bloc countries, Cuba, and the European Union, along with many thousands of American individuals and organizations, stepped in to offer material aid, technical assistance, and in the case of Witness for Peace, accompaniment in the war zones. Such volunteers risked their lives — young engineer Ben Linder actually lost his — for the privilege of being part of this experiment in liberation. Heady stuff. And it turned a lot of heads, not always in the most helpful ways. Some visiting Americans became ever more convinced that their own left-wing party back home was destined to become the vanguard that would bring revolution to North America. Some became more rojinegro — red and black, the colors of the FSLN’s flag — than the Sandinistas themselves and would hear no criticism of the party or its leaders. Others simply lived for the day when they could abandon the United States, with its hopeless, politically backward population, and make the permanent move to Nicaragua, and its highly conscious people. Like everything in Nicaragua, its post-1990 history has proven complicated indeed. As a start, some of the elements in the FSLN most committed to popular democracy left to form smaller Sandinista-style parties, but without significant success at the ballot box. Meanwhile, in the months between the election and the transfer of power, many Sandinistas took part in the Piñata — a wholesale appropriation of state-owned property, companies, vehicles, and cash. In the process, Daniel Ortega, his wife Rosario Murillo, and other high-ranking party members began amassing personal fortunes and rebuilding their political power. The couple even underwent a well-publicized conversion to a charismatic form of Roman Catholicism, which helps explain why Nicaragua today has one of the world’s harshest anti-abortion laws. 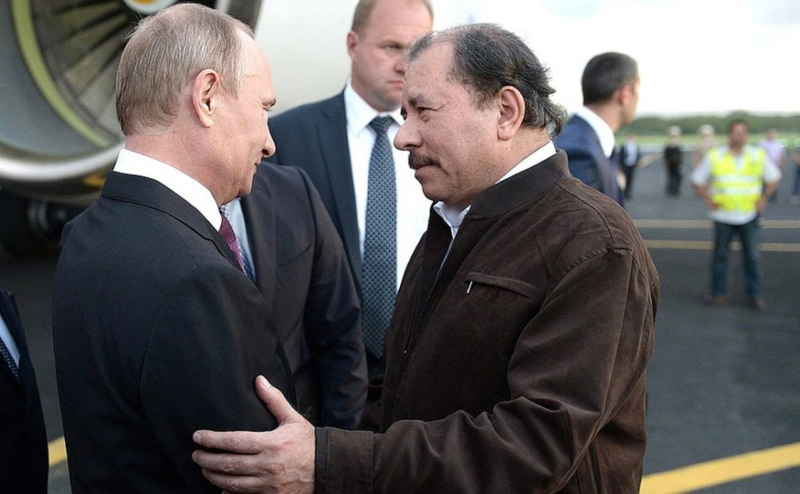 In the 12 years since his second election, Ortega has consolidated his own power, placed family members in important and lucrative positions, and achieved full control of the FSLN party apparatus. He engineered constitutional changes that now permit him to serve an unlimited number of terms; that is, he granted himself a potential presidency for life. In spite of the increasingly autocratic nature of his rule, Nicaragua has seen substantial economic development in the last decade, from which many have benefited. Ortega’s is an authoritarian government that has nonetheless provided real material benefits to Nicaraguans. Furthermore, whether because of a lingering esprit de corps in the police and army or thanks to Ortega’s mano dura — harsh hand — or a combination of the two, the country is not suffering the plague of drugs and government-by-cartel that has terrorized the peoples of much of the rest of Central America and Mexico. Envío, a digital magazine put out by the University of Central America in Managua, calls this uprising an unarmed revolution. “Unarmed” is a modest exaggeration, since defenders at many of the barricades have used homemade mortars — steel tubes which hold hemp fuses attached to bags of gunpowder — but the demonstrators are massively outgunned by the government’s regular army and the police, as well as the turbas gangs of thugs. For longtime Nicaragua-watchers, it has been strange to see COSEP, the country’s private industry council and inveterate Sandinista opponent, joining with university students and campesinos to create a Civil Alliance for Justice and Democracy. In late May 2018, leaders of the Alliance agreed to a dialogue with the government, mediated by the country’s council of Catholic bishops. The talks have been on-again, off-again ever since. When Somoza left power, the FSLN was waiting, ready to govern. As far as I can tell, today there is no such organized force on the left that could fill the vacuum left by Ortega, for example, by successfully campaigning in any new elections. If, however, Ortega refuses to leave office, the alternatives are at least as painful to consider: his successful repression of a genuine uprising of popular anger through yet more killings, beatings and jailings — with the continuation of an autocratic government into the unknown future — or a turn from a largely unarmed and, when armed, defensive, resistance to a full-scale civil war, with all the horrors that entails.